This recipe goes out to all the Nutella lovers out there… and I know there are a few including my very own sister-in-law who eats it by the spoonful! 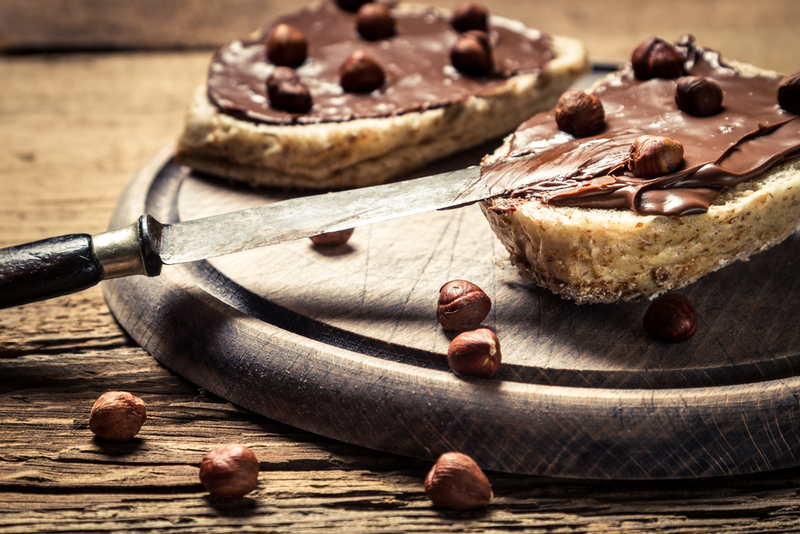 Today I’m excited to share with you a recipe for Chocolate and Hazelnut spread or.. homemade Nutella. I’m just going to jump straight into this one, because if you’re like me, the only thing running through your head right now is “Om nom nom nom”…..
Preheat oven to 220C and roast hazelnuts for 8-10 minutes until golden. Place the hazelnuts in a teatowel and rub together to remove the skins, it’s okay if some stubbon skins won’t budge. Place hazelnuts in the food processor and blend continuously until a smooth butter forms (around 3 minutes). Add the rest of the ingredients and continue blending until the mixture is smooth and creamy. TIP: Add extra hazelnuts on top for extra noming crunch. This will last in the fridge of up to two weeks, probably longer if it’s not eaten on the first day but best to err on the side of caution. Yummy Yummy Yummy! This would also be a great & tasty food gift!! Ooh yes! Whoopsy! But they are all so delicious!